Our store carries a good range of decorating essentials, trade and designer paints as well as a large collection of wallpaper books. Given how close we are to the sea, Christchurch beach hut owners will be pleased to learn we carry all the wood treatments and paints you could want. If you don’t find what you need in stock, we’ll gladly source it and order it in for you. We can even deliver in the local area. You can pick up useful tips while you’re here, too. Not only does our team know their products, they’ve plenty of experience in renovation and refurbishment and know a good network of local tradespeople. 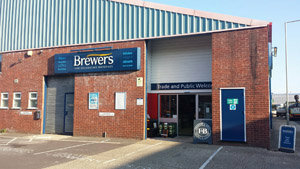 Christchurch Brewers Decorator Centre is on Wilverley Road, just off the B3059 Somerford Road. We’re near the refuse and recycling site; look out for Travis Perkins on your left and then Christchurch Tyre Company immediately on your right, we’re on the corner of the next junction to your right. There’s customer parking directly outside and the store is fully accessible for wheelchair users and people with limited mobility. 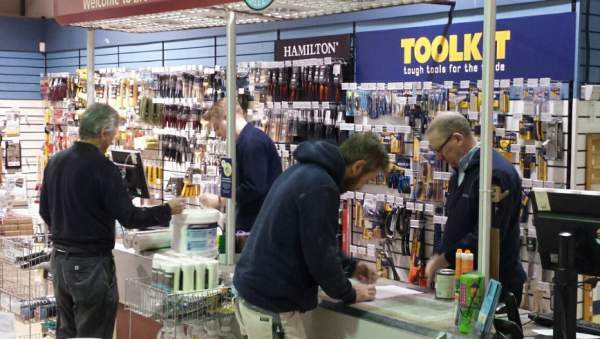 Paints, wallpapers, fabrics, tools and more available at Brewers in Christchurch!